Listen to "The First 90 Days: Proven Strategies for Getting Up to Speed Faster and Smarter" on your iOS and Android device. 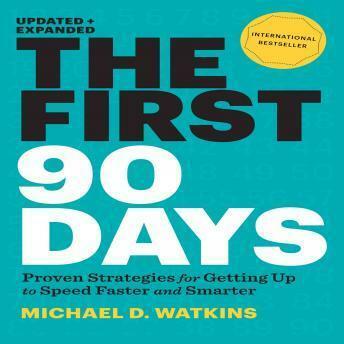 In this updated and expanded version of the international bestseller The First 90 Days, Michael D. Watkins offers proven strategies for conquering the challenges of transitions-no matter where you are in your career. Watkins, a noted expert on leadership transitions and adviser to senior leaders in all types of organizations, also addresses today's increasingly demanding professional landscape, where managers face not only more frequent transitions but also steeper expectations once they step into their new jobs. Great tips for transitioning into new role. Well read. This book has real substance and common sense tips for career inhancers and corporate leaders. Great book. Helped me move into a new role and got my head thinking in the right way. Highly recommend. An excellent resource with transitioning team members.